Can you believe it? We’re halfway through 2018! Uh oh, did that sentence make you panic a little bit? Both are halfway over and you still haven’t taken a step outside your office or your comfort zone. Don’t worry, we’re here to bail you out of your panic! We scoured the state and found some ways to get you out and fast! Check out some of our favorite last-minute local escapes below! Just in case you’ve only got time for a day-trip, go snag a spot on Amtrak San Joaquins brand new “Morning Express”! It’ll get you to Sac by 8 am, just in time to sneak in a visit to Bacon & Butter before the line wraps around the block, the Crocker Museum, and even have time to take a dip in the American River! Check their FB here for updates! No, we aren’t talking about the Austrian racing team, silly. We’re talking about the everyone’s favorite Yosemite-bound bus line, YARTS! Not only are the seats super cozy, but they’re offering FREE rides to Yosemite. Catch one of these freebies on August 25th for a breath of fresh air unlike any other. Want to get away but also get your ride on? There’s no better city than Monterey! With bike paths that run from the Aquarium to 17 Mile Drive, you’ll have plenty to see and do. Hang out with the otters or see if you can spot Mr. Eastwood behind the 17 Mile Drive gates! Grab a bud and carpool karaoke your way there! Snap a picture and use #DibsOnSummer for a chance to win prizes! Here’s another day-trip idea, in case those 90+ degree valley temps are too much… grab your partner-in-crime, park in one of the zillion Park & Ride Lots, and hop on BART. Swing into the city for some lower temps and good times. 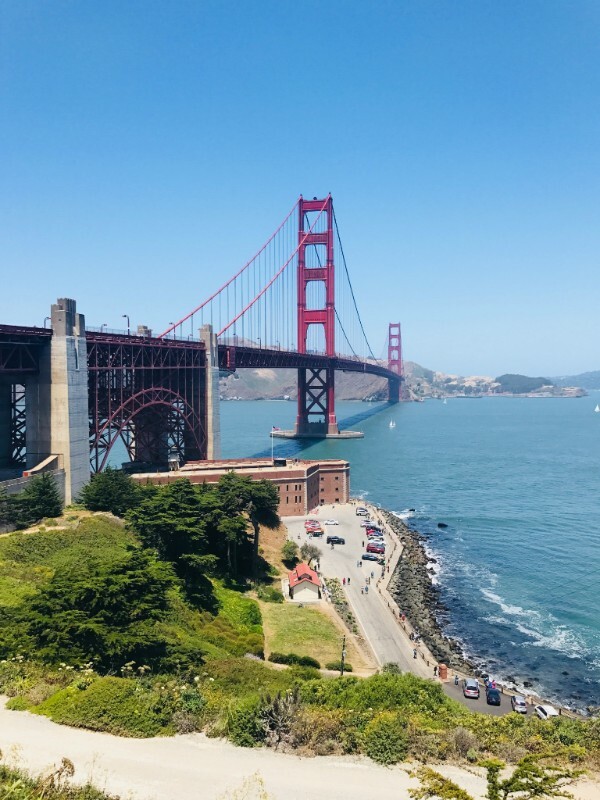 Whether you’re riding bikes over the Golden Gate, dipping your toes into the ocean, or even catching fouls at a Giants game, it’s a city full of endless possibilities! Did you blow all your vacay days on that spring Disneyland trip? No worries! 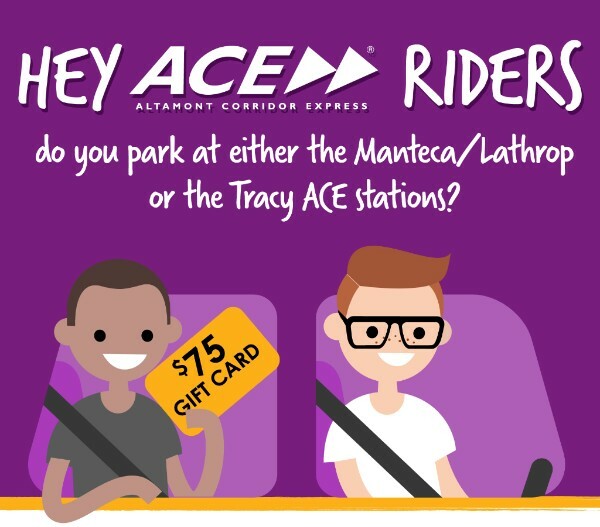 Grab a friend and carpool into either the Lathrop/Manteca or Tracy ACE stations and then hop on the train for an hour or so of me-time (our favorite kind of vacay). Log that trip and we’ll hand over cash if you start carpooling to the station a few times a week for 2 months. Click here for more info!